New upper dech is under construction. 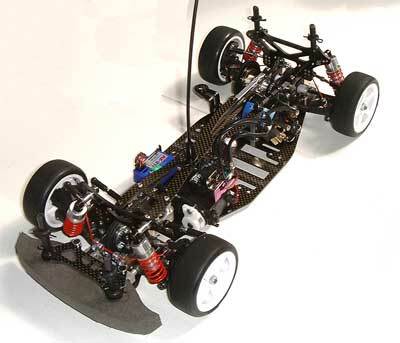 New 4WD Touring car of Team OSION was constructed. This name is "414 OSION"
I want only one original macine. 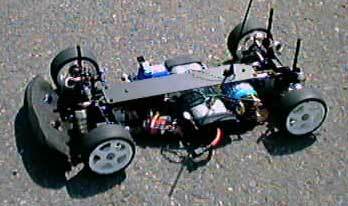 At first, I made a machine based on kawada's SV-10 alcyon. This machine is explained HERE. 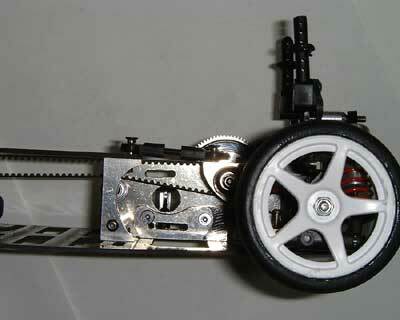 Second, I made a machine based on tamiya's TRF 414M. Because 414M's suspention holder allows geometry wide eaziely. Bulkheads are made from juralmin(?). 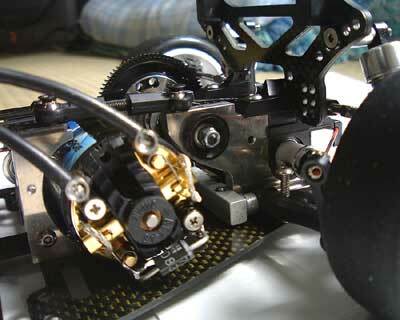 And boll bearing holder is SV-10's one for smoothly rotation. 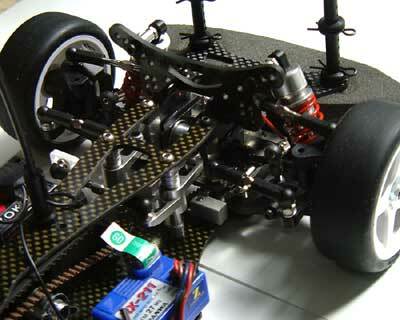 This diff.gear's position is lower than yokomo's MR4 TC's one. 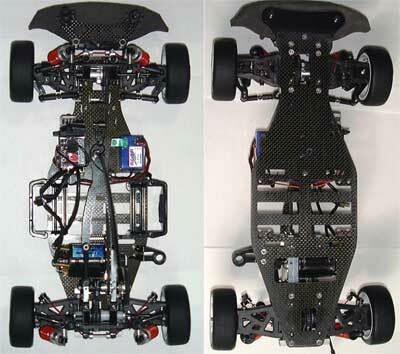 Front oneway diff.gear, boll bearing holder and shock tower are based on SV-10's ones. Drive Belt is under upper deck. 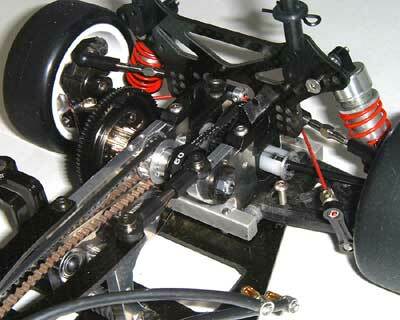 Center Oneway pully and front diff. pully is peace ark(alex RD)'s CE-4's ones. Drive belt for rear is mitsubohio's S3M150. Drive belt for front is MR-4's silent drive belt for front. Supper gear holder is ove T4's one. 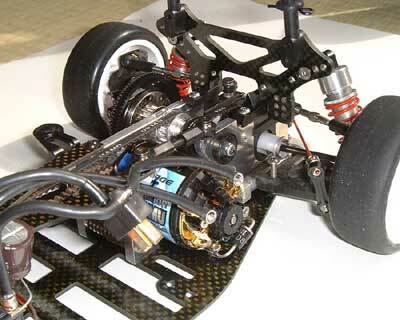 Diff.gear is on very low position. 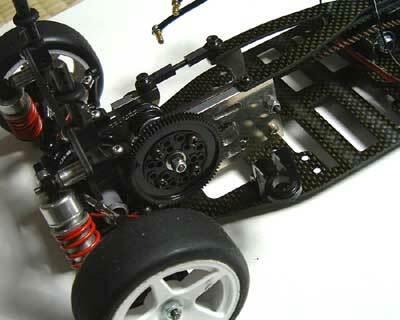 Drive train is smooth, but weight is very heavy now. I want this machine light.